My First Take On The Flynn Sentencing Memorandum. Flynn’s assistance has been so helpful that Mueller recommends he receive no prison time. That is highly unusual and suggests an exceptional level of cooperation and value from the information provided by Flynn. Flynn’s assistance is for the Special Prosecutor’s Russia collusion investigation and at least two more criminal investigations that are completely redacted. What those investigations may be is completely speculative. Quote from an un-redacted portion of the addendum: “[Flynn] has also assisted the SCO investigation concerning links or coordination between the Russian government and individuals associated with the Trump campaign . . . on a range of issues including interactions between individuals of the Presidential Transition Team and Russia.” Redacted material follows this. This strongly suggests Russia collusion is still a central part of the investigation and part of the substantial assistance provided by Flynn. 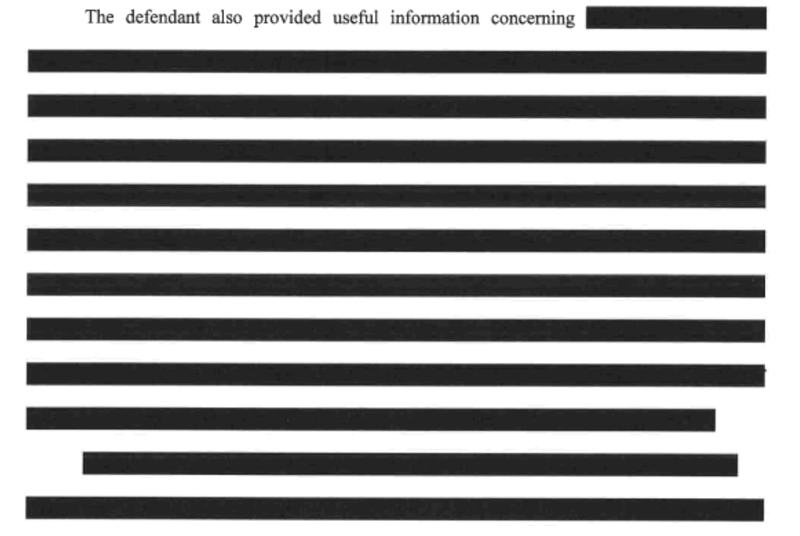 That so much was redacted suggests Mueller still has much information he has to protect in the interest of the ongoing multiple criminal investigations alluded to. This indicates the investigations could still be a long way from done.